New England Patriots' cornerback Malcolm Butler made the game-clinching interception in the game's closing seconds. Super Bowl MVP Tom Brady made his final handoff of the season Tuesday, a new Chevrolet Colorado for teammate Malcolm Butler. Brady’s gesture gives Chevy another infusion of publicity for the Colorado. What vehicle the Super Bowl MVP receives is normally an afterthought, but Brady’s handoff has kept the Colorado in the news long after the Feb. 1 game. The New England Patriots quarterback was awarded the pickup for winning MVP honors, but he wanted Butler to have it. Butler, a cornerback, made the game-clinching interception in the game’s closing seconds. 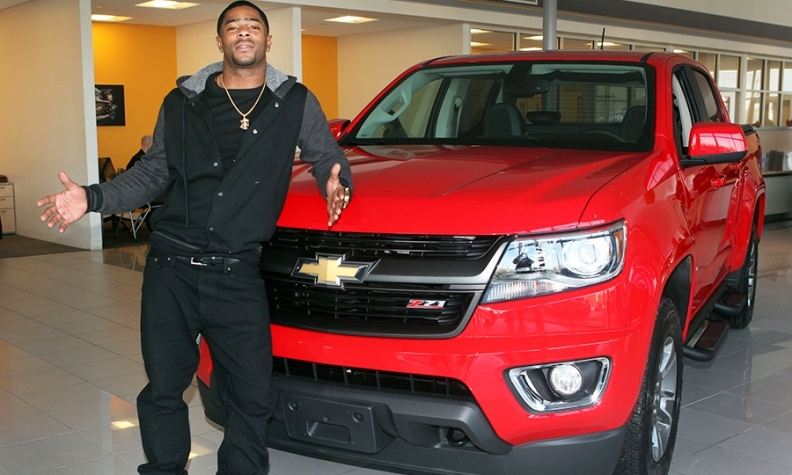 Butler picked up his new Colorado from Clay Chevrolet in Norwood, Mass. The University of West Alabama product appeared genuinely enthused to get his prize. He posed triumphantly with the Colorado in a series of photos that are circulating across the Web. Paul Edwards, Chevrolet’s U.S. vice president of marketing, commended Brady for being a class act.